May 1st is a day of international working class solidarity. Iranian workers have had a year full of difficulties and at the same time full of strikes and protests and an era accompanied with constant fight for their rights. During the past year, the deepening crisis of global capitalism and the impact of this crisis on different aspects of the life of the working class on one side and on the other side the expansion of the economic sanctions have resulted in tens of thousands of factory closures, bankruptcy of numerous production centers, increasing number of millions of unemployed people, escalating inflation and soaring prices of basic necessities of the society and brutal living conditions. The Iranian workers on many levels have been struggling with the consequences of these devastating economic sanctions and the devastating policies of the Islamic regime that has been constantly trying to impose the burden of the sanctions on the working-class families and the poor layers of the society. Iranian workers through their daily protests and strikes have shown that they neither surrender to the fate that the capitalist class and their regime have created for them nor have been intimidated by the continuous repression, arrests and prosecution of labor movement activists and leaders by the Islamic regime. They have shown that the daily violations against their lives and rights will not break their will and this way they have kept alive the hope for system change and end to the rule of the Islamic regime in the hearts of the oppressed and deprived masses in the society. Iranian workers now celebrate this historic day amid continuous struggles and with wide experience in organizing May 1st ceremonies and actions. May 1st is part of workers’ fight against the capitalist system during which they show and raise the degree of their class consciousness, their awareness about their working and living conditions, their understanding of the importance of class struggle and self-organization for the liberation from oppression and exploitation of the capitalist system. The labor movement leaders and activists need to have a clear knowledge of the factors involved in Iran’s political situation as well as a realistic evaluation of the existing power balance and the dominating atmosphere in the society so that they can organize successful May 1st ceremonies and actions. The activists and leaders of the labor movement know that this year’s May 1st is going to be held just few weeks before Iran’s eleventh presidential “elections”. This makes this year’s May 1st celebrations special and more sensitive. The regime has been planning special measures ahead and in fear of mass riots in the weeks leading up to the „elections“ and recently by announcing the launch of „polling bases“, [ polling centers that are guarded by armed forces], it actually announces that it will enforce tight security measures in the society. The regime is extremely worried about the outburst of people’s anger and discontent against the high inflation and high prices, against poverty, unemployment and wide corruption, and turning this discontent into a mass political movement in the tense atmosphere of the society. Regime’s fear of mass riots, its resort to more repression and force against people and displaying its military and security capabilities in order to overcome this fear clearly shows the fragility of the current atmosphere in the society. Workers’ organized and strong presence in the city centers during May 1st can be the start to end this atmosphere, trigger waves of mass anger and create a more favorable atmosphere for the advance of the labor movement and other progressive social movements. The fragile atmosphere of the society is rooted in more fundamental factors. The deepening economic crisis, the pressure and problems that the regime is facing as a result of the continuation of the economic sanctions, the impasse in becoming a nuclear power and failure in becoming the super power of the region, its fear of labor and mass uprisings and its frustration in controlling these crises has made the Iranian regime struggle with an internal crisis as well. Different factions within the regime have been attacking each other over the ways out of this crisis and over the survival strategies of the regime. It is the regime’s incapability in resolving these crises that has made all its measures and plans fragile. The regime of the Islamic Republic, in face of such challenges and by terming 1392 as „The Year of Political and Economic Saga“, by calling on the workers to bear the austerity programs and asking for active participation in the presidential elections is, once again, openly stating its intention to intensify the exploitation of the workers and pushing more families under the poverty line. The increasing pressure on the Iranian labor activists and leaders is an attempt by the regime to prevent any possible wide response from the labor movement against these attacks. Organizing May 1st gatherings is one of the top priorities of the labor activists and leaders in the labor movement. The communist activists in the labor movement need to have an accurate and correct evaluation of the conditions and power balance in the society and accordingly try to organize and hold May 1st activities. It is the duty of the socialist activists in the labor movement to set a clear vision for the workers of the different phases of the advancement of the labor movement. 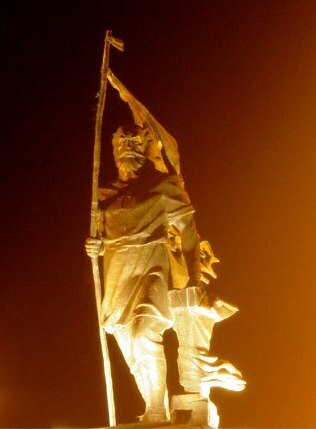 It is necessary to emphasize the urgent demands of the working class, especially the demand for increased wages and rejecting the minimum wage that is four times less than the poverty level, to emphasize the importance of united and country-wide fight against the regime’s assaults and for the liberation from the terrible economic situation as well as the political and social limitations that have made life for the working class intolerable. Für das Leben und die Freiheit von Mohammad Jarahi! There are growing fears for the life of imprisoned labour activist Mohammad Jarahi, who is now known to be suffering from thyroid cancer. Jarahi, who is a member of the Committee to Pursue the Establishment of Workers’ Organisations, was arrested last June and sentenced to five years in prison. He is now in the second year of his sentence. Jarahi underwent surgery on 16th February this year. However, the results of the tests following the operation show that he has thyroid cancer. According to his doctors, Jarahi should begin his treatment as soon as possible. Despite the efforts of his family for him to be referred for immediate medical treatment outside prison, Jarahi continues to be jailed. Mohammad Jarahi is in prison purely for his union activities. He should not be in jail, and should be able to receive urgent medical care and treatment outside prison. Free Them Now! calls for the immediate and unconditional release of Mohammad Jarahi. Biji Newroz! Newroz Piroz Be! Proteste in Sanandaj für die Freiheit von Wafa Ghaderi, Khaled Husseini, Behzad Farajolahi, Hamed Mahmoud Nejad und Ali Azadi! Les familles des militants ouvriers arrêtés se sont rassemblées devant le bureau des « renseignements » à Sanandaj pour demander la libération immédiate de leurs proches. Les familles s’étaient déjà rassemblées au même lieu et pour défendre la même revendication depuis l’arrestation de Azadi, Hamed Mahmood-Nezhad, Behzad Faraj-Ollahi, Seyed Khaleh Hoseini, et Vafa Ghaderi le 7 mars par des brutes des « services de renseignement », arrestations vraisemblablement orchestrées pour éviter toute protestation des ouvrières et des ouvriers de Sanandaj à l’occasion du 8 mars. Selon un communiqué du Comité du Kurdistan du Parti Communiste-Ouvrier d’Iran, lors de la protestation du 16 mars le bâtiment des « services de renseignement » a été attaqué. Le Comité de Coordination pour Aider à la Formation des Organisations Ouvrière rapporte que ces manifestations continueront chaque jour et que les familles prévoient de manifester devant le gouverneur du Kurdistan pour la libération de leurs proches. 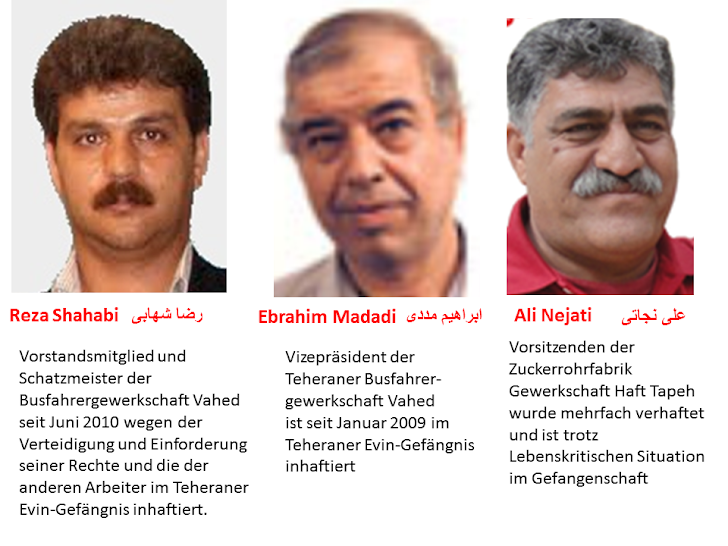 Freiheit für Wafa Ghaderi, Khaled Husseini, Behzad Farajolahi, Hamed Mahmoud Nejad und Ali Azadi! On Thursday 7th of March 2013 at 6 in the morning, about 5 worker activists and members of “Coordinating Committee to Help Form workers’ organisation” were arrested by the agent of intelligence ministry in city of Sanandaj. The worker activists arrested on March 7th included: Wafa Ghaderi a well known worker activist, khaled Husseini, Behzad Farajolahi, Hamed Mahmoud Nejad and Ali Azadi. Did Chavez leave a „socialist“ legacy? There are few, if any, presidents whose death, especially after ruling for well over a decade, can cause such an outpouring of genuine grief among many thousands of citizens. Soon after it was announced that Hugo Rafael Chávez Frías had died thousands of people came into the streets weeping for the president they had lost. Lieutenant Colonel Chávez, who was first elected President of Venezuela in February 1999 (after failing as a putschist in 1992), made a real difference in lifting the material conditions of the lives of millions of poor Venezuelans through his multi-facetted reform programme – the so-called „Bolivarian Revolution“. Using the vast oil wealth of Venezuela to create many missions – unlike most other oil-rich countries where this revenue is nearly all appropriated by a very small minority – over the past 14 years the poverty and the illiteracy rates were drastically reduced and the health and living standards of the workers, the poor and ordinary Venezuelans were raised. That is why the masses voted him in at three further presidential elections and came on to the streets on many occasions, particularly at the time of the 2002 coup that briefly removed Chávez, to support him and his policies. When Chávez was elected in 1999 14.5% of the total labour force were unemployed and per capita GDP stood at $4,105. By 2009 unemployment had nearly halved (7.6%) and the per capita GDP had more than doubled to $11,404! And this took place within the context of a significant growth in the population from 23,867,000 in 1999 to 28,583,000 in 2009. Poverty also decreased: from 23.4% in 1999, the recorded rate of people in extreme poverty fell to 8.5% in 2011. The policy of launching missions to tackle various social problems has made a significant impact on society. For example, infant mortality is now lower than in 1999, falling from a rate of 20 per 1,000 live births to a rate of 13 per 1,000 live births in 2011. This is as a direct result of the work of Mission Barrio Adentro (healthcare), Mission Mercal (food distribution) and Mission Habitat (housing). Mission Robinson has enabled around 1.5 million adults to rid themselves of illiteracy. Some commentators have even described Venezuela as „illiteracy free“ now. There are many other missions trying to address a wide range of problems in society. These have been financed through the oil export boom, earning Venezuela $60bn in 2011 (in 1999 oil revenues stood at $14.4bn). – Inflation that stands at 31.6% (compared with 23.6% in 1999). – The massive rise in violent crime, which reached over 16,000 murders in 2012. One NGO puts the number at nearly 21,700 (meaning a national homicide rate of 73 per 100,000, more than double the 31 per 100,000 in Colombia, which has two guerrilla wars taking place on its territory!). Above all, the economic prospects of Venezuela do not look good when compared to other Latin American countries. This is primarily because capitalists (domestic and foreign) do not think it a ’stable‘ place for investing their capital! Net inflows of foreign direct investment stood at 2.9% of GDP in 1999, nearly double the 1.7% in 2011. Stock market capitalisation of companies listed on the Caracas Stock Exchange has shrunk from a 7.6% of GDP in 1999 to 1.6%. In addition, according to most industry estimates, Venezuela’s oil production has fallen from about 3.2 million barrels a day to around 2.5 million. The 32% devaluation of the Bolivar in February will, of course, affect many economic indicators to the detriment of workers and the poor. Already in 2011 the per capita GDP had declined to $10,801 as Venezuela remained in recession for two years when much of Latin America recovered more quickly. 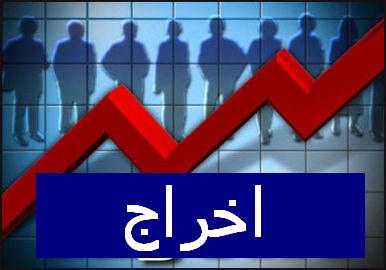 Unemployment also rose to 8.6% in 2010. This mixed bag of results is after many years of high, or even record, oil prices. The „Bolivarian Revolution“ will be in serious trouble if the price of oil dips too much. Although there have been many important advances in Venezuela, it is important for revolutionary Marxists to not get carried away and to be able to produce a concrete class analysis of the Venezuelan situation based on the lessons we have gained over 160 years of struggles. In reality the „Bolivarian Revolution“ and the „21st century socialism“ that Chávez talked about were never anything more than a reform programme. Of course, revolutionary Marxists have nothing against reforms that improve conditions for workers and the masses. What we do oppose, however, is reformism. We oppose the concept of reforming and improving conditions under capitalism in the hope that somehow we will one day reach a tipping point where we arrive at socialism. This reformist approach equates socialism with nationalisation, and, consequently, the more industries a country nationalises, the more „socialist“ it becomes! There now seems to be an entrenched belief among a wide section of the left, even perhaps the majority of the ‚Trotskyist‘, that there is some kind of an unbroken continuum from moderate left-wing politics to radical left-wing positions and continuing right the way through to the Bolshevik-Leninist tradition. This ‚received wisdom‘, however, is a total fallacy! There is a definite dividing line (i.e., no continuum) between those who want to achieve all the demands in their programme after smashing the bourgeois state and those who think that „socialism“ is something you can achieve incrementally – starting today in bourgeois society itself. Those ‚Marxists‘ who think that „socialism“ is something that can be posed in society by a caudillo – no matter how well-meaning – and that certain reforms and the nationalisation of some industries mean that we can talk about socialism in a society, are clearly abandoning the basic lessons that our movement learnt at the time of the Paris Commune: i.e., to smash the bourgeois state. Reza Shahabi, an Iranian labour leader imprisoned since June 2010, went on hunger strike on Dec 17, 2012 to protest against mistreatment by jail guards as well as prevention of his medical treatment by the judicial authorities. Reza Shahabi’s physical conditions have deteriorated. He has announced that he will refuse taking his medication and eating food until he is allowed to be transferred to a hospital outside prison for complete treatment. Mr. Reza Shahabi who had gone under major surgery of his neck, and according to doctors’ recommendations was in need of at least “two months rest at home”, and “incapable of withstanding any further punishment,” was sent back to Ward 350 of Evin prison on August 14, 2012. Since then, his health deteriorated significantly. In addition, his jail guards have be very insulting and he has been threatened recently by one of his guards. Reza was taken to hospital on December 15, 2012 but the jail guard accompanying him refused to allow him for proper examination and forced Reza, with threats of beating and assaulting him, to go back to prison. imprisonment, five year ban on all union activities and 7 million toman penalty. Reza Shahabi’s health deteriorated significantly after severe beatings and mistreatment following his arrest. The authorities of the Islamic Republic of Iran are directly responsible for any consequence resulting from continued imprisonment and mistreatment of Reza Shahabi.